What Are Some Of The Advantages of Social Media Marketing? If you didn’t know, social media has an immense marketing power, and I could present you with statistics all day long to prove my point. It’s easy to say that “something is great” for marketing, but exactly what is is that is great? Why is social media so good when it comes to marketing, and what can it do for you? In this article, we’ll present you 4 things that social media marketing will help you with. Social media has the power to draw a lot of traffic to your website. And in many cases, a website visit is the first step to getting a conversion further down the road. Social media can provide you with both direct traffic and search engine traffic. Direct traffic is when someone clicks a website link that you’ve been promoting, for example in a Tweet or in your profile. search engine traffic is traffic that is indirectly affected by your social media efforts. If you’ve been following various search engine optimization discussions over the last couple of years, you know that social media has been a fairly trending subject. The reason to that is because social media has gotten an increased traction, and when people shared their links, blog posts, and market their blog etc. people, of course, thought they should result in an improved ranking on Google (as Google has backlinks as a ranking factor when ranking your website). Whether or not social media helped improve search ranking was long unanswered by Google, but then, one day, they admitted that they took social media activity and signals into consideration when ranking your page, as social media platforms are just like any other internet page. 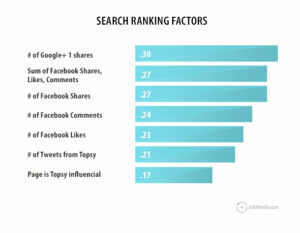 Google said that their main focuses were social media mentions and shares, so this is what you want to focus on. For example getting Retweets. 2) Being able to laser target your audience. Being targeted in your advertising is key for a successful marketing campaign because only those who are interested in what your business is doing and has to offer are actually your potential customers. If you’re selling guns, for example, there’s not point in targeting people who are interested in horse riding. You only want to reach those who are interested in your industry. And this is now possible with social media. No matter if you’re paying for advertising or going all organic, even though paid social media promotions offer you more targeted choices when setting up your campaign. The best example is Facebook that gathers a ton of information about their users, which marketers then can use when setting up campaigns. This type of information can be anything from interests, practices, occupations, and wage. 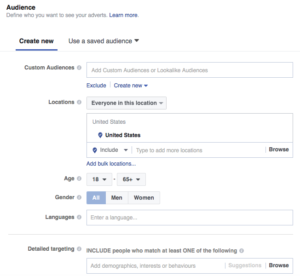 Since Facebook obtained Instagram, targeting people with the information Facebook has is now possible when running ads on Instagram. When making your efforts more targeted, you’ll get better results and higher ROI because you reach those who really matter for your business. On social media, you can have deep conversations with your target audience and engage them in a way that you can’t with ads, for example. When you engage with your audience, you’re also building trust, and trust is the key to converting someone. If a customer doesn’t trust you, they won’t buy from you either. Influencer marketing is a way to further gain trust because influencers have already built authority and credibility, and when they recommend your brand, some of that trust is transferred to you. The more often you engage and talk to your audience, the more time your brand will be on their mind, increasing the chances of them recommending your brand to their peers. And word of mouth is something that you as a brand can benefit immensely from. In fact, in an article from Forbes by Kimberly Whitler, it shows that 92% of shoppers trust suggestions from their peers before any other promotion. In addition, Hubspot found in a research that 71% of individuals are likely to buy from a brand in light of social media referrals.